This unique and gorgeous arrangement can also be made with green or white orchid blooms. 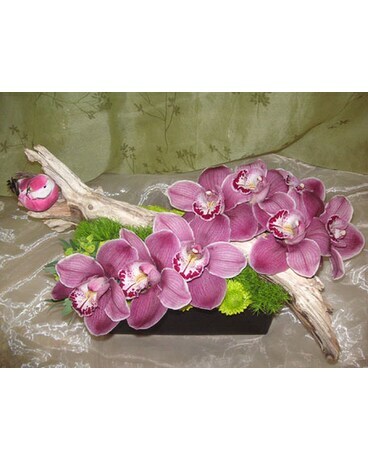 This is a hand-crafted custom arrangement incorporating beautiful natural elements. Every piece is unique, and therefore, so is every creation.